At Yoga Den, our Florida yoga studio ,we have locations in Fleming Island, Mandarin, Jacksonville, Southside, and World Golf Village. We offer an array of services our clients enjoy, from yoga teacher training courses, massages, acupuncture, herbal consultations, to more traditional yoga classes with which you are likely more familiar. 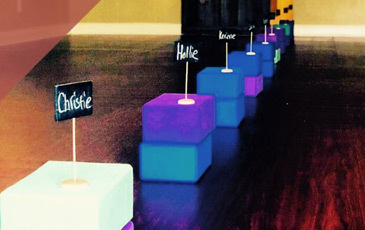 But today’s post is going to go beyond the surface level of describing our services to you. In fact, we will dive into some of the lesser-known qualities and benefits that consistently practicing yoga can provide. So without further adieu, let’s begin exploring the world of yoga courses and poses and what you may experience as a result of your practice. While we can’t guarantee eternal ecstasy after just one of our yoga workshops, we can say that the vast majority of people simply feel better after yoga. Positive energy courses through your body as you feel in touch with yourself in a fantastic new way. Daily stressors aren’t quite as big of a deal when you have a proper dose of perspective, which our yoga classes can help you achieve. That’s right, you can exercise organs you normally would have no control over. Because your breathing patterns and yoga postures are interconnected, the physical benefits of yoga trickle down beyond simple muscle strengthening. With deeper breaths, lung health improves, and your heart feels younger will your mind is renewed. George Harrison was well-known for incorporating eastern musical influence into the western pop-rock style of the 60s, which the Beatles helped develop. That is a fairly well-known fact. What is less well-known is that this influence had a significant effect on the eastern influences within the western mindset. It isn’t absurd to consider Harrison as having a significant impact on the popularity of yoga throughout the 70s and 80s – such is the size of the Beatles’ fanbase. Over 50,000 people became yoga instructors in 2016, and for good reason. Yoga is booming in popularity, and so the demand of yoga teachers must meet the supply of students ready to learn. The Rig Veda is known to be the first Veda, and also contains a variety of mantras and what we could call hymns in the west. The Rig Veda dates back to earlier than 1500 B.C. We hope that you’ve enjoyed our brief foray into aspects of yoga you may not have considered before. Of course, some of our readers are yoga instructors themselves so they likely already know these facts and more. 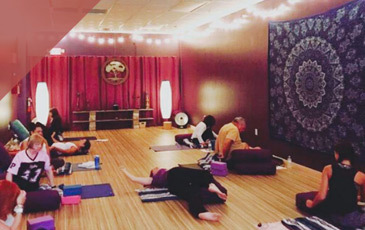 But for those of you who are considering finding a “yoga studio near me” or are looking to become a certified yoga instructor, the Yoga Den represents a great choice for residents in Jacksonville, Avondale, Mandarin, and Fleming Island. 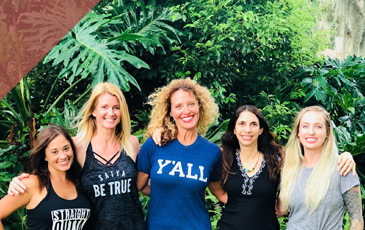 If you are interested in making a change that echoes throughout the many chambers of your life, consider Yoga Den if you want to grow stronger, live longer, and get a first class free!